The Vendome Bedframe is a simple yet stunning contemporary design, the striking upholstered curved headboard being it's defining feature. The dark, warm cherry veneer is a perfect contrast to the light, neutral upholstery, the sculptured detail and tapered legs displaying the high-quality of artisan craftsmanship. Complete the look by combining with the elegant Vendome Bedside Table. 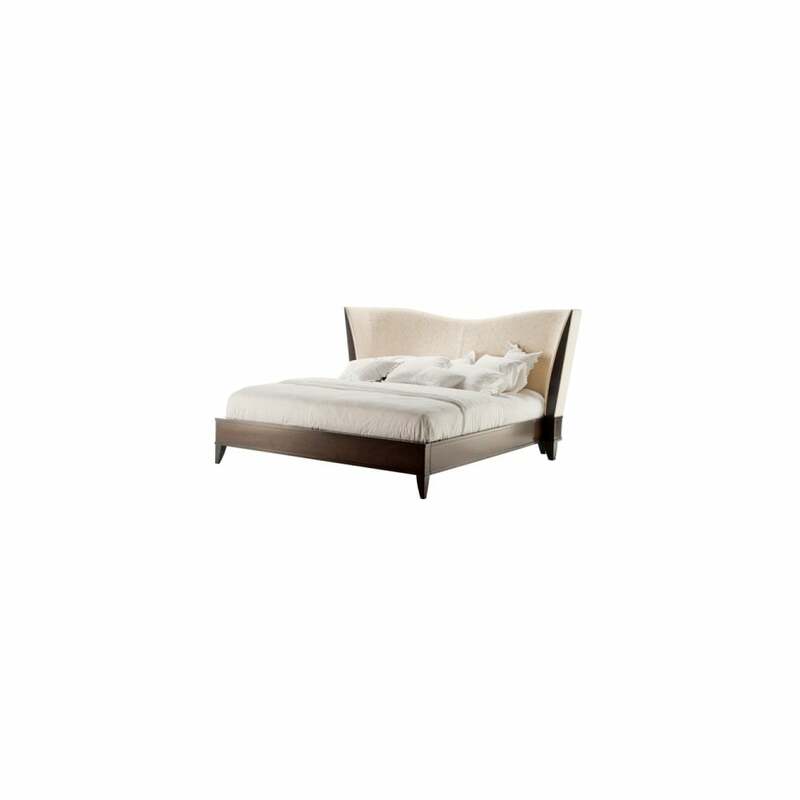 The frame has adjustable height slat support and must be attached to a Vendome headboard. The slatted frame and mattress are not included.